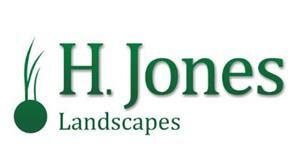 H Jones Landscapes - Driveways/Patios/Paths, Landscaper based in Bedworth, Warwickshire. Block paving. Tumble paving. Patios inc natural stone. Tarmac driveways. Decorative gravel. Brick walls. Railway sleeper retainers. Turfing. Artificial grass. Fencing. Gates. Decking. Gazebos. Paths. Steps. Driveways and patios cleaned, Re-sanded, grouted and sealed. Etc.